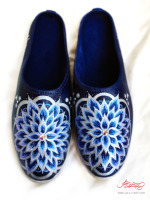 Original Unity Flower Mandala Design hand-painted on women's mule slip-on canvas shoes. Custom made to order. 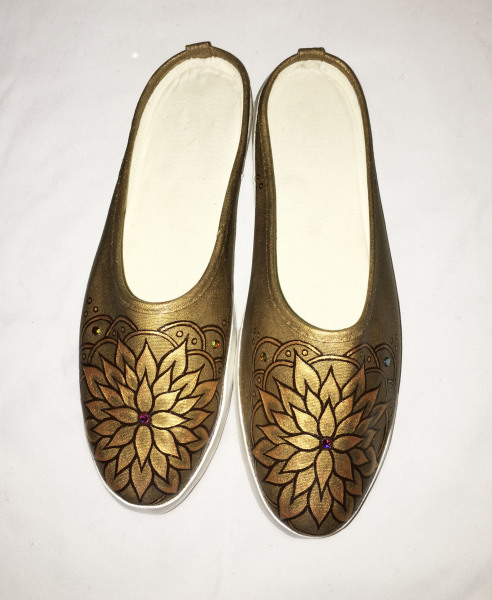 Available in women shoe sizes 5- 10. 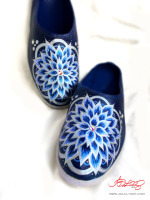 Hand-painted with top quality, professional acrylic paints and accented with Swarovski Crystals. 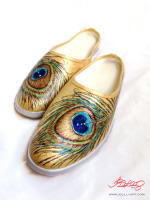 Original Peacock Feathers design hand-painted on women's mule slip-on canvas shoes. Custom made to order. Available in women shoe sizes 5-10. 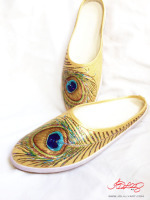 Hand-painted with top quality, professional acrylic paints and accented with Swarovski Crystals. 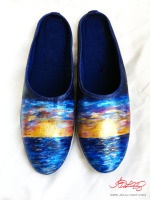 Original Sunset Oceanscape Scene hand-painted on canvas women's mule slip-on canvas shoes. Made to order. Available in women shoe sizes 5-10. Limited quantities available. 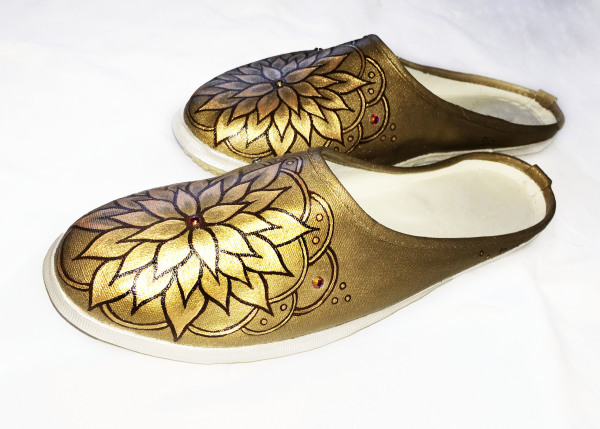 Hand-painted with top quality, professional acrylic paints accented with a golden metal leaf sun. 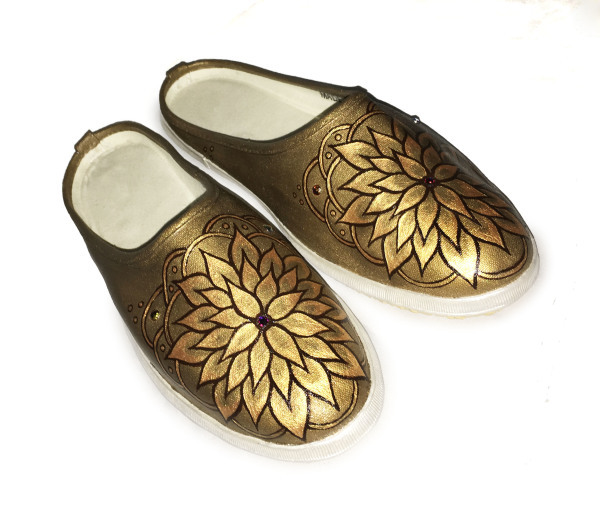 Unity Flower Mandala hand-painted on women's mule slip-on canvas shoes. Custom made to order. Available in women shoe sizes 5-10. 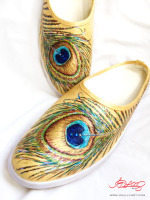 Hand-painted with top quality, professional acrylic paints and accented with Swarovski Crystals. Durable, fashionable, stylish, and unique one of a kind shoes that will have everyone asking you about them. Each design above can be custom painted just for you. These mule slip-on shoes are currently available in women's U.S. shoe sizes 5-10. There is a limited amount available so hurry and place your order today. 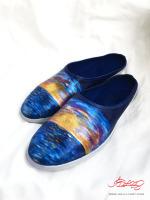 These mule slip-on shoes are great for those who are constantly on the move. They will look great with anything from shorts to skirts. 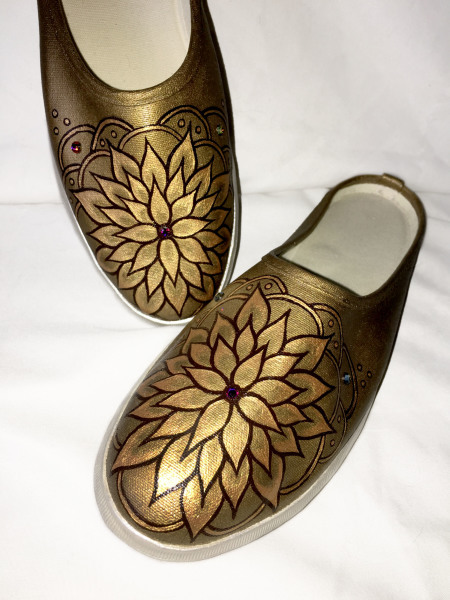 Hand-painted with top quality, professional acrylic paints and accented with Swarovski Crystals and/or metal leaf to create a one of a kind rich and artistic quality that can not be found anywhere else; These shoes will have everyone asking you about them. 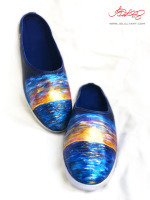 Have you ever dreamed of owning a pair of shoes that are unique and best represent your own personal stlye? Finally, you can make that dream a reality. Each design listed above is original and hand painted just for you.